Looking to buy a freehold property on Penang Island? Look no further than Botanica.CT’s semi-detached and bungalows. They are semi-furnished with CCC obtained. Key features include partly fitted, freehold and individual title, guarded by auxiliary police etc. 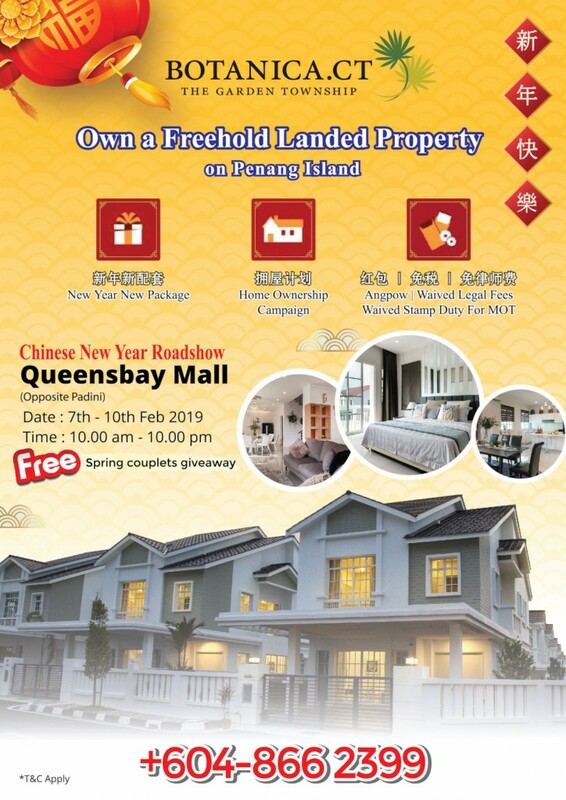 MTT Properties will be having a roadshow from 7th – 10th Feb 2019 at Queensbay Mall (ground floor opposite Padini). Bukit Kukus paired road to continue, expected to complete by mid 2020 Who to blame for property glut?